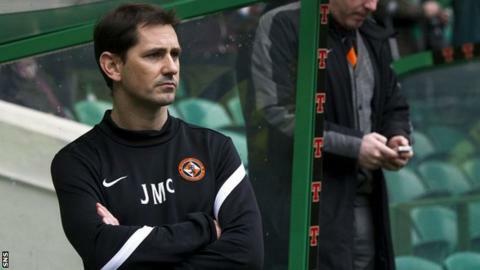 Defender Marcus Tornstrand has become Jackie McNamara's first signing as Dundee Utd manager after joining on a short-term deal. The 23-year-old was a free agent after being released by Hammarby, for whom he made over 50 appearances. The three-times capped Sweden under-21 international signed after a trial spell. "I was keen to bring another defender to the club and, having had a look at Marcus on trial, he has shown me he can add to our squad," said McNamara. "He has impressed with his aerial ability and looks very assured on the ball and his general fitness is excellent so he is ready to be considered for the first team. "I am delighted that Marcus has signed and he can now show me he deserves a longer deal."